Why have we to link Aadhaar to EPF? # Aadhaar is one of the important KYC document which contains details like your name, date of birth and address details along with your photo. # By linking Aadhaar to EPF, you will make it easy to merge multiple UAN numbers into single UAN. # Aadhaar is used as Proof of Identity (POI) and Proof of Address (POA). This will reduce the number of documents to upload into a single document. # During withdrawal process of EPF, it makes easy for EPFO to verify your KYC credentials at ease. These are the major benefits for link Aadhaar to EPF. There may be some different views of making Aadhaar linking as mandatory. But going forward Aadhaar may be one of the important document of your authentication. Earlier to link Aadhaar to EPF online, you have to log in to Unified Portal. However, from now onward you no need to login to EPFO portal and easily link Aadhaar to EPF online without login. Step 1– Visit EPFO Portaland go to “Online Services”. There you have to select “eKYC Portal”. Step 2-The new eKYC window will open. There you have to select “Link UAN Aadhaar”. Step 3– Here you have to provide your details like UAN number (mandatory), the mobile number which is linked to UAN. To this number, they send you OTP, which you have to enter and provide your Aadhaar number also, then click on Submit. Another OTP will be sent to your mobile/email linked with Aadhaar. After OTP verification, if UAN details are matched with Aadhaar details, then UAN will be linked with Aadhaar. After linking, the EPFO you may avail online EPFO services linked with Aadhaar. How to link Aadhaar to EPF online by login? 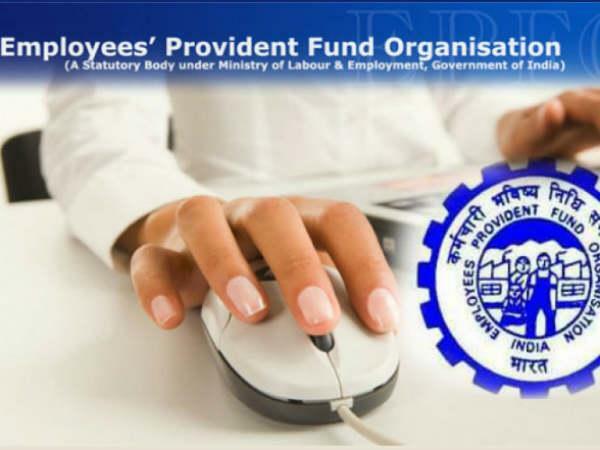 Using online facility of EPFO you can easily link your Aadhaar to EPF. Let us see the steps involved in this. Using your UAN number and Password login toUnified Portal. 2) Once you login, then the screen looks like below. Here, under Manage tab, select the KYC option from the drop-down menu. 3) Once you select KYC tab, then you will find the screen as below. Here, EPFO provided the options to update Bank details, PAN details, Aadhaar, Passport, Driving License, Election Card, Ration Card or NPR. We have to select the option of Aadhaar. Enter the Aadhaar number and also the name as it appears in Aadhaar Card EXACTLY. Then click on SAVE tab. The majority of employees will face the issues here. Due to a mismatch in names or service issues with either EPFO or UDAI, you may be unable to update it. If there is a mismatch with name, then try to inform the same immediately with your employer to resolve the issue. 4) Once you save it, then you can view the same under pending KYC option. The screen of that will look like below. Wait for around 15 days for approval. If it is approved, then your Aadhaar status will be available in “Approved KYC” area. This is how you have to link Aadhaar to EPF.